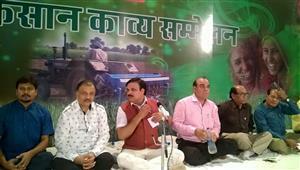 Hasya Kavi Sammelan was organised in Gandhidham on 5th of August, 2017. 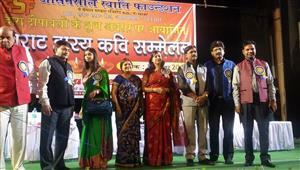 All the famous hasya kavi of India were sharing the stage. Audience was giggling and laughing all the time. The best hasya kavi of India Padm Shri Surendra Sharma was leading the stage, afterall he is the all time favourite and evergreen hasya kavi of India. The ripeness of hasya and the maturity of experiences are being delivered through his "char laaina(s)". People were complementing him with their loud claps. The most popular hasya kavi of India Surendra Sharma wins his listeners' hearts by his sober expressions and calm way of delivering his hasya kavita. 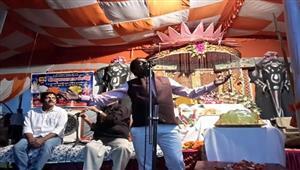 The best hasya kavi of present time Shambhu Shikhar mesmerises the audience with his pure Bihari andaaz. Hasya kavi Shambhu Shikhar has a secret formula of tickling the listeners with his every single word. 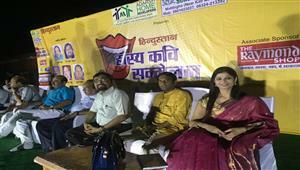 Presenting hinself in a unique style, hasya kavi Shambhu Shikhar is being the new trend of hasya kavi sammelan. 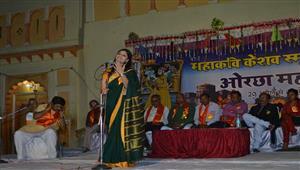 The audience was cherishing every second of Gandhidham Hasya Kavi Sammelan. 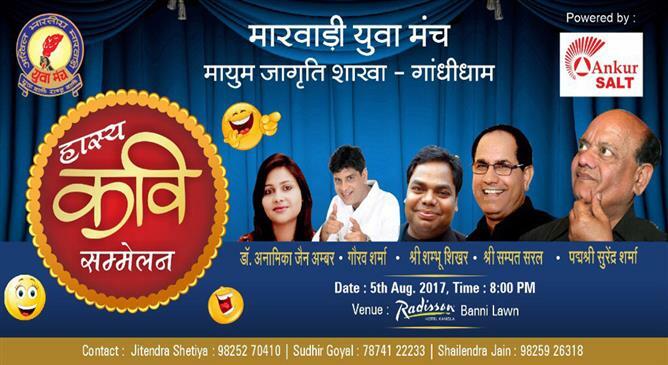 Coming from Rajasthan, Sampat Saral is one of the famous faces among hasya kavi and satirist. 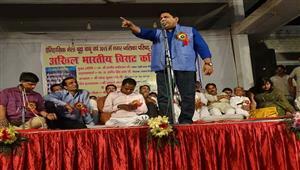 He has been listed as one of those rare performers who read blank-verse in kavi sammelan. The audience was adoring and encouraging him with their claps and "wah-wah". Hasya kavi Gaurav Sharma is entittled with "The most entertaining hasya kavi of India" by virtue of his amazingly hilarious expressions and manners of handling the stage. Famous for his wit, Gaurav Sharma has a regular increment in his likers and followers. And now comes the most beautiful poetess by voice and heart as well, blessed with a fabulous and cool style of poetry Anamika Jain Amber. Belonging to Meerut, Anamika Jain Amber is being recognized as a pretty young female talent in the world of hasya kavi sammelan. She is blessed with a perfect style for collecting the appreciation and claps of the audience. Book a hasya kavi sammelan for different occasions, functions and parties. Yes I was there. I enjoyed there a lot with my cousins and friends. God bless you all.